Thought I'd continue my earlier post about the Dragonstar RPG, and talk a little about the core books of the setting. First up is the Starfarer's Handbook. 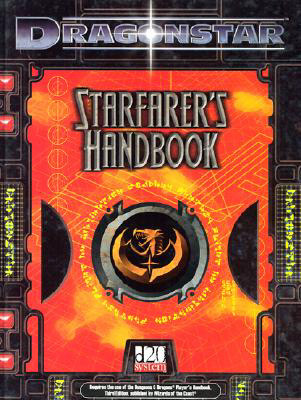 It is basically the Player's Handbook of the setting, BUT you have to have a copy of the 3.0 D&D Player's Handbook to make full use of the Starfarer's Handbook. 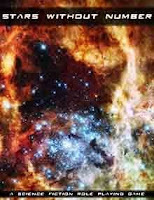 Chapter one is in color and gives a nice intro to the Dragonstar setting to enable players to get a feel for what it is about, you get a good handle about the Dragon Empire and such. Chapter two goes into races; dwarves, elves, gnomes are all in there with some notes on integrating them into a sci fi setting (example: elves get a +2 bonus on Freefall checks). Then some new races are covered; Drow (the secret police of the Dragon Empire), Orcs, Half-Dragons (often times the royalty of the setting), and a completely new race Soul Mechs (robotic constructs that have been animated with a sentient soul). Chapter three is about classes, all the core classes are present with notes on how to integrate them into the setting, then some new classes are included; the pilot and the mechanist (I remember one of my players triple classed just so he could call himself a Rogue Fighter Pilot (LOL). Prestige classes are then discussed with notes on how to integrate core rules ones into the setting. Some new ones are included, The Gundancer in particular sounds cool but I never got to play one. 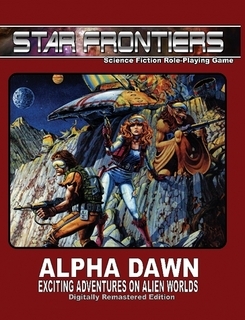 We get chapters on Skills and Feats for the setting (Two-Gun Shooting, Starship Piloting, Speed Load and more). Then comes the equipment, everything from Blaster Rifles to Shock Armor. I would have liked to have seen more covered in the robot section but there are some example bots included. The chapter on combat goes alot into Firearms and how they work in the 3.0 rules. Chapter eight is about magic, I love the concept of the Spellbook software, Kindles weren't even around when the rules came out, but how cool would it to be to tote your spellbook around on a Kindle instead of some musty bulky old tome? The rest of the book touches on some new spells, vehicles, vehicle combat and some example starships. Reading my above entries makes the game sound rather dry. Not at all, it has some great stuff in it. 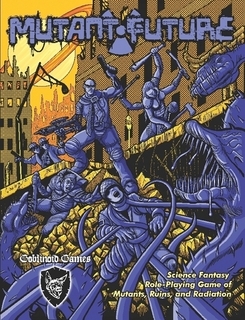 I like the artwork for the most part, in particular the art does a good job of capturing the setting (dwarven asteroid miners, drow commandos, etc.). 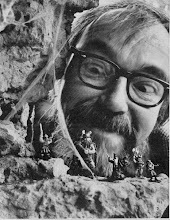 I'm no longer into the whole 3.x game mechanic, but back in the day when we were playing that edition of the rules this was a setting we very much enjoyed. Some may ask why not just play Star Wars? For me and my group we didn't really want to play Star Wars, we liked the concept of D&D in space and Dragonstar more than met that expectation. Meeting up with a swarmy halfling informant at the Ugly Umberhulk Cantina only to get into a firefight with auto-gun toting Bugbear gangsters is just waay cool! I started a new job this past week, the good news is its a big career move for me, the bad news is it will take up most of my free time for awhile as I get a handle on everything. Soo my posts may be infrequent, but have no fear (LOL) I'm still around. To celebrate, I placed another Lulu order today, I had to order the new Labyrinth Lord supplement: Realms of Crawling Chaos it just looks too cool to pass up (plus it has rules for White Ape characters! 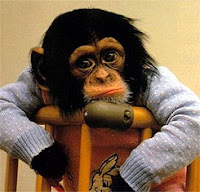 !, and you all know what a Simian Fan I am!) 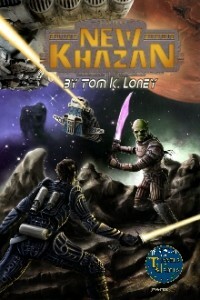 I also spotted a new Tunnels & Trolls supplement: New Khazan. Sounds like Tunnels & Trolls in Spaaace! Well both products have arrived. Realms of Crawling Chaos far exceeded my expectations. It's a great resource for injecting some Lovecraftian coolness into your LL/MF campaigns. However, regarding New Khazan...I'm rather disappointed. For the $19.99 price tag, I don't feel like I got my money's worth. There just isn't enough to it for one thing, the art goes from ok to fair to poor, and the editing is rather poor. While I am in no way a spelling/grammar nut, in some places the grammar is so poor that its hard to even understand what the writer is trying to say. There are some nuggets scattered here and there in the book, but I've seen way better out there for cheaper or even free. As for using it as a resource for Dragonstar like I had hoped, there are a few items in there, some of the planets will work, a few of the critters/beasties are useable, but to be honest I see this as being a better resource for an Encounter Critical game than anything else. 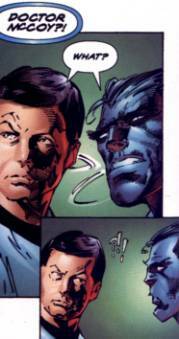 It even has a brief reference to Planetary Apes er, I mean well you get my drift. Special Abilities : Skilled with driving/riding vehicles of many kinds. Fairly good mechanic, especially with ancient motorcyles. Weapons & Gear : Stunt Cycle that he is constantly tweaking and tinkering with, mechanic's tools, miscellaneous gear. 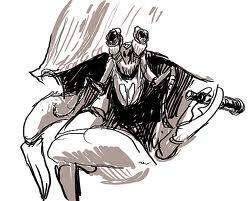 Tends to avoid weapons and such, he'd rather "ride away to entertain another day!" An accomplished Stunt Cyclist, the mutant gorilla known as King Kong Knievel makes a living visiting the different wasteland communities and wowing the locals with his riding stunts. Many of the simple folk have never even seen a vehicle of the ancients so his stunts are even more impressive to them. He used to have a regular act at CageTown, but after a falling out with the local (mob) Boss; Tobias Whale he took to the travelling circuit, often visiting Gaxville, JymsWard, Wormhaven and other areas. The money isn't as good, but "still breathing" is even better. He could honestly probably make a better living putting down permantent roots and opening up a mechanic/bike shop but he loves the roar of the crowd, can't stay anywhere for long and is an adrenaline junky in the worst way. Please note, I found the above picture on the net, with the title King Kong Knievel, don't know anything else about the actual stunt rider, thought he would make a good NPC for my Campaign. 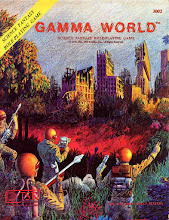 Mutant Future Revised Edition Rocks! As I mentioned the other day I got in a Lulu order, the other item in it was the Revised Mutant Future rules. I meant to order it sooner, but got busy with life and such, so I finally ordered it. I am quite pleased with it. It fixes some errata and adds alot of new artwork including 3 new Simian pics, : ) But otherwise stays true to the original MF rules. We've needed an extra copy of the rules at the game table anyways so this will be highly useful for my group. So if you've been holding off on picking up Mutant Future, what are you waiting for? Order a copy today! I highly recommend it! Sorry for being so post happy today, finally feeling better I suppose. Anyways I've posted about the cool P.A. 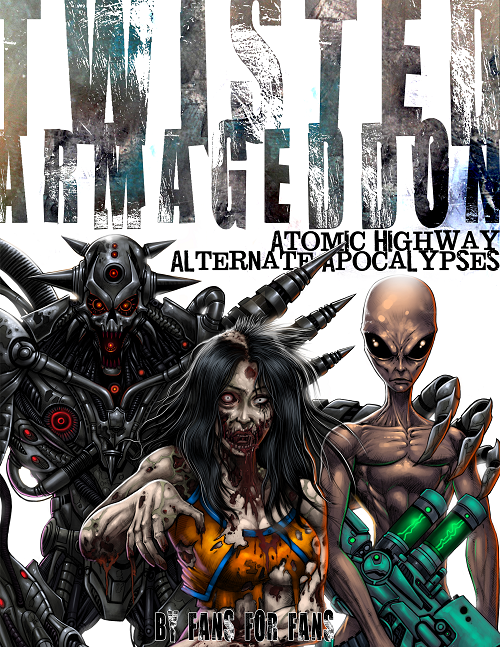 RPG Atomic Highway in the past, I recently learned of an expansion for the setting check it out! No release date that I've been able to find, according to Colin, the Radioactive Ape Designs Man himself, it will include "Aliens, cybernetics, zombies, killer robots, retro-future and alien tech...". Our trio of heroes barely paused to congratulate themselves on their rescue of Brother Thomas, while the old school and former lair of The Goatlords burned to the ground behind them, they gathered (looted) what gear they could from the fallen goatmen, a few axes, and rusty blades, and smelly hide armor. They'd hoped to search their enemies' lair more thoroughly but the fires kept them from doing a thorough search of the old school; however, they did recover a functional gas mask and several pieces of ancient jewelry from the Goatlord's hoard, as well as, the Kevlar armor worn by the laser wielding goatman. Tink quickly laid claim to it and the pistol, when he found an additional energy clip in The Goatlord's belt he gave a whoop! Meanwhile a short distance away an old manhole cover slid aside. The faint scraping metal sound unheard by the heroes. Cautiously, carefully something emerged from below. A bright yellow gloved hand could be seen, followed by…a small hula dancer, affixed to an old motorcycle helmet, soon a humanoid figure crawled out of the hole and looked about blinking in the waning sunlight. Nearby Brother Thomas the healer tended to both Tink and Sherman's wounds, both had taken quite a beating. Bishop unfortunately was in bad shape, he was unconscious, Brother Thomas said his talents only worked on living creatures not robots or synthetics. Tink and Sherman tried to help him, but the ancient tech that made up the android was beyond both of their talents to repair, or barely even understand. The group could tell Bishop wasn't dead, Sherman theorized some kind of "reboot" was happening. Not that he really knew what a "reboot" was (he'd heard a travelling Programmer back home use the term and it sounded technical enough for him to use now). They unfolded the hi-tech wheelchair that they had found earlier and put Bishop in it. It would slow them down, but they couldn't just abandon their friend. Natorg could tell immediately that he had come upon the scene of quite a battle. By the look of things he had only just barely missed it in fact. The former lair of the Goatlords was burned to the ground, the bodies of several goatmen along with a dead scaley hound lie scattered about. He cursed his poor vision, in the tunnels it hadn't been such a burden but up here on the surface he soon realized it would be a problem. He could make out movement in the distance, clutching his sword, he wasn't alone! They spotted a lone individual making his way up to the carnage. He wasn't a Goatlord, actually he looked like a human, well a mutant human anyway, his skin seemed to have an odd sheen about it and by his wardrobe he wasn't from "around here". Sherman cautiously approached, a dialogue was engaged and an alliance was formed (Sherman can tell when someone is lying; one of his innate mutant gifts, so he was the perfect choice to check out this newcomer). Natorg joined the group of heroes, he spotted Brother Thomas, or the person he figured was the healer…the man going around healing people. He'd join these warriors, make the trek with them to Gaxville and then see how his fortunes might change. They'd need his help to make it back to Gaxville, safety in numbers don't ya know. But first they'd need to camp somewhere; at least one of the Goatlords had escaped during the fight, who knew if he had other comrades nearby that might be plotting revenge. Tink paused for a moment something had caught his eye in the distance, out of the northwest something moved along the skyline, darting between buildings. Natorg thought he heard a flapping noise coming from the same direction. The fire and smell of burned goat would no doubt attract predators/raiders or worse…. They began to make their way to the northwest of the burned buildings, towards the direction that they had came in, several of them (except for Natorg) spotted trouble ahead. Several winged, orange scaled apemen were moving in their direction. 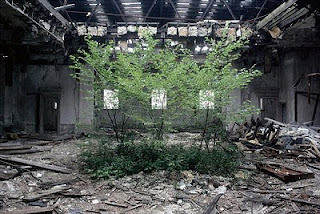 It was difficult to tell how many as they bobbed and weaved in and out of the ruined buildings. They weren't so much flying as leaping from rooftop to rooftop, rubble pile to rubble pile. Before long they were surrounded. 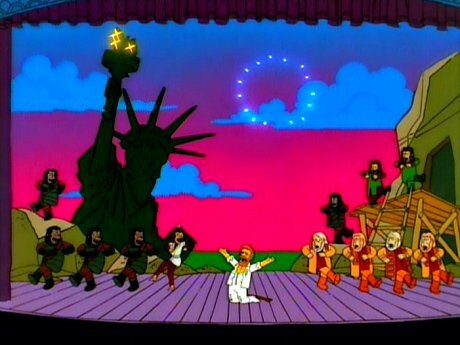 The apes didn't look too happy, but it was hard to tell. Tink readied for combat, but Sherman thought a more diplomatic approach might be worth trying. 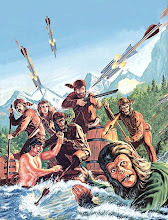 The apes didn't immediately attack, they seemed more curious than anything else, but cautious, when one spotted Tink wielding the laser pistol formerly used by the Goatlords, they entire pack got riled up and bared their teeth. With Sherman's prompting Tink lowered the laser pistol (he hadn't quite mastered how to use it anyways). Sherman theorized that these orange scaled apemen had experienced run ins with the Goatlords and their laser pistol before. Brother Thomas knew little of this area and wasn't much help, though he proposed a peaceful solution was always preferable to violence. Bishop sat in the wheelchair oblivious to what was happening. 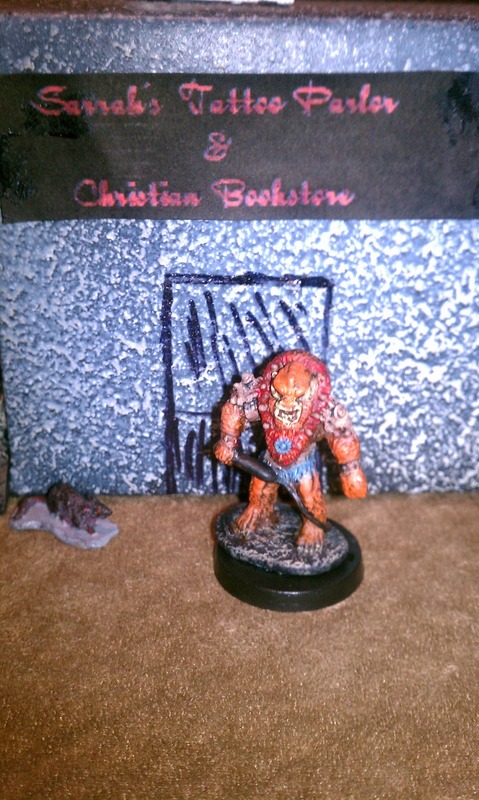 Natorg thought he'd heard of these creatures…Gargorangs he believed they were called and he thought they laired in a large ruined tower not far from here but he knew little else. 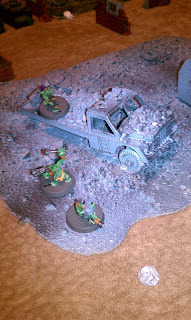 Sherman attempted to engage in a parley with the group, he offered them the bodies and remaining stuff on the ground to the Gargorangs in exchange for letting the party leave the area without a fight. 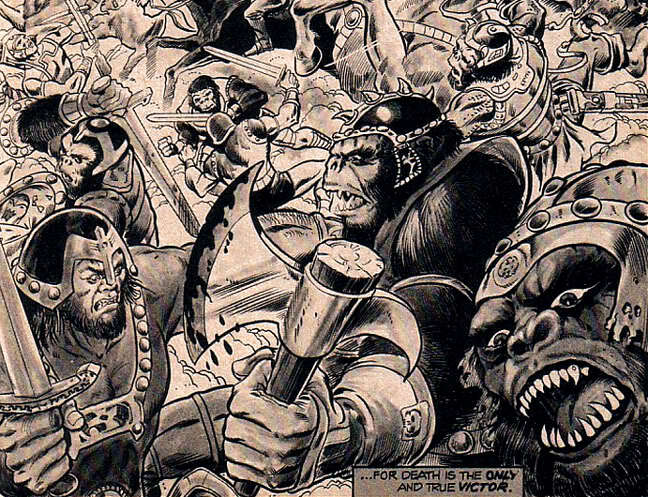 There were some tense moments, but eventually the Gargorangs agreed, and the orange scaled apemen proceeded to enjoy a feast of barbecued goat! The party moved away from the area, but seeing as how night was approaching they found a nearby intact structure and sheltered down for the night, although they were well aware that a Gargorang had perched itself on the roof of their building to keep an eye on them. Watches were assigned and the group bedded down weary from their day's adventures. Later that night during Sherman's watch he eyed the apemen cavort about enjoying their feast of barbecued goat. The orange apes seemed to be quite enjoying themselves. 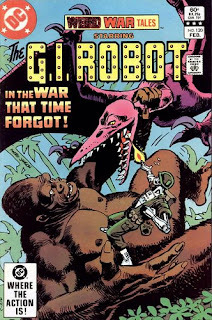 Apparently there had been some bad blood between these two "peoples" and the Gargorangs were more than happy to celebrate their enemy's misfortune. Then Sherman spotted a fearsome looking beast perched on a nearby building directly over the Gargorangs. The scaley apemen seemed completely obliviously to its presence. Sherman realized it was only through his enhanced mutant sight that he was able to detect the creature. It was apparently invisible to normal eyesight. The enormous mutant winged worm was perched on a ruined wall, getting ready to apparently pounce on one of the Gargorangs. Sherman later learned from Brother Thomas it was called a Blight and was a terror of the wastelands. Sherman didn't know what to do, he was thinking of crying out a warning to the apemen, although they were quite a ways away from him, but before he could act, the Blight struck with amazing speed unleashing a bright blinding light as it attacked, the other Gargorangs shocked and surprised briefly saw the mutant worm as it attacked one of their number then both it and its prey were gone in a second. When the apemen recovered they vainly tried to find their comrade, but he had been taken away in the dark night. The party huddled in fear for the rest of the night, posting an extra watch, they didn't know if more Blights were out there or if the Gargorangs might turn on the party in anger, frustration. Neither happened, and dawn finally arrived. As dawn marked a new day, and renewed the need to get back on their hurried return home they set out, the apemen were long gone, nothing remained of the goatmen or their gear. The group traveled for several hours, pushing Bishop along in the wheelchair slowed them down and forced them to take a slightly different way back but it couldn't be helped, they couldn't leave their android companion behind. After a couple of hours travel through the ruins, the group hear some sort of noise coming from up ahead. A cantankerous cursing can be heard followed by the braying of a…mule? !...followed by more cursing and more braying…. Cautiously they creep up and are taken aback by what they see. A large roughly humanoid(ish) crab was pulling the reins of a pack laden mule, trying with minimal success to get the beast of burden to move. Sherman noted the ornate, heavily customized black powder pistol holstered at the crabman's "waist", as well as, other bits of gear some of which could be hi tech weapons. Conversation ensued and the crab man introduced himself as Trader Crab. The group got along quite well with the mutant crabman. In exchange for the gems and jewelry taken from the goatlords, the heroes got some needed gear including a damaged nail gun rifle (that Trader Crab said once belonged to a member of the Nailgun Disciples Gang) and an extra power cell for Tink's laser pistol. The big deal maker however, was when Sherman offered Trader Crab a copy of the map he had made showing the way through the Maze, including the safe areas where they had blocked off access to the Trog tunnels. The appreciative Trader offered Sherman some damaged but useful Kevlar armor. 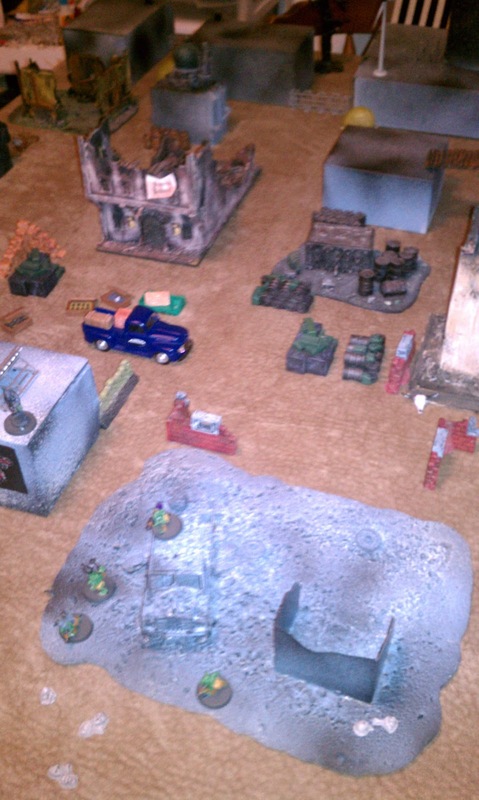 They talked about the different gangs in the area, and remembering their mission parted ways with the Friendly Trader. The Return of the Goatlords!, Trog Terror!, Come here Fido! and The Church of St. Vermayne! 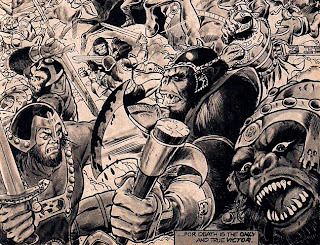 What Happens when you mix Conan with Planet of the Apes? 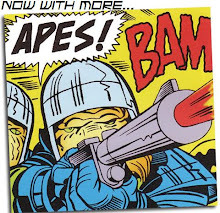 Found this in an old Planet of the Apes comic, thought it looked pretty cool. I placed an order with Lulu the other day and it came in today. For $10, I couldn't resist picking up the print version of the digitally remastered Star Frontiers RPG. Nice looking product for a good price. Even if I don't get to run a straight Star Frontiers Campaign, I can loot stuff from it for a Stars Without Number game or Dragonstar or some other Sci Fi RPG. + it's just cool to have it on my shelf. While I'll admit moving away from 3.X based games a bit ago and returning more to my gaming roots mechanics-wise, one campaign setting that came out towards the end of 3.0 was one that I had a blast playing/running and wish had continued longer. That setting was Dragonstar by FFG. 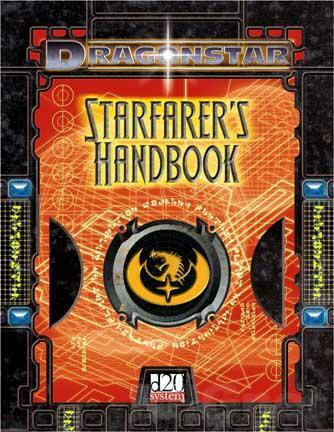 We played the heck out of Dragonstar back in the day. 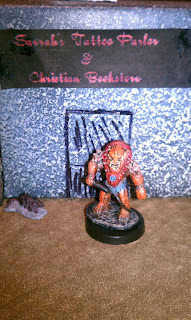 We fought Bugbear Gangsters, Drow Space Pirates, Void Trolls, Halfling Star Commandos and had a blast! Sadly I think timing was what killed the setting. 3.5 came out right after it was released and I believe d20 Modern as well, which caused the mechanics to perhaps be seen as "dated" by the masses. Some of the later books for it were not as good as the original books, but I grabbed everything I could for it and even worked up my own stuff. We had a ton of fun with the game. It came at a good time for our gaming group, we had been playing "regular" 3.0 D&D for quite awhile and this setting really scratched an itch for us in a way that d20 Modern just didn't do. I'll never forget when I unleashed a group of Hobgoblin Bounty Hunters geared out in armored dusters and blaster rifles with their cyborg Carnivorous Ape "pet", the high level cocky fantasy party just about had a TPK, they knew they weren't in Kansas anymore. Good Times! 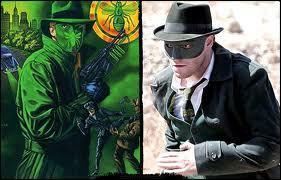 Finally starting to feel better, my son treated me to seeing the Green Hornet last night. We both really enjoyed it, Seth was great in the movie. A fun movie! Well I'm still alive. I gotta say H3N1 or whatever the heck it is nowadays is one evil pile of sickness. Apparently I had a "mutant/alien" strain so both Dr. Mccoys were called in as consultants. I'm still not up to speed, but at this point I'm no longer pondering being buried in the back yard. Anyways hope you all are healthy, I'd advise you to get the flu shot, but it did me no good. So if someone on a plane/train/automobile/swoop bike coughs near you or looks the least bit under the weather, RUN AWAY!!!! Trust me on this! 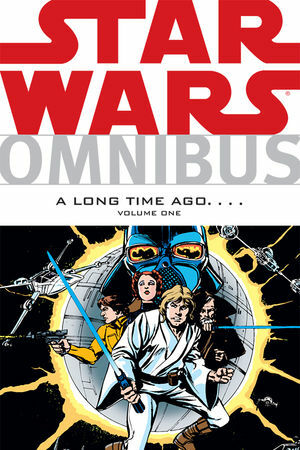 I loved the Marvel Comics Star Wars series back in the day. I even still have some of the issues. In particular I liked the stories that took place in between the events of the movies. 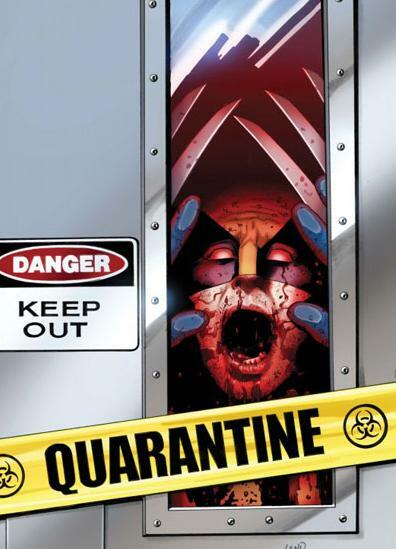 Now Dark Horse Comics has compiled the old Marvel Series into a Trade Paperback Omnibus format. I got the first one as a Christmas present over the holidays. It collects the first 26 issues from that bygone age. Reading through it brought back great memories of when I read the original comics 30+ years ago. Good Stuff! While I don't see myself running a Star Wars game anytime soon, I can definately see looting some of the stuff for a possible Stars Without Number Campaign. Grognardia has now posted a review of the game. The thing I am excited about is that it is now available in print! Woo Hoo! I'm just one of those old timey book in hand kinda guys! Anyways if you are into Sci Fi and haven't looked into this rules set yet, I encourage you to do so. The PDF is FREE!!! Thought I'd post an NPC from my Mutant Future Campaign. He has been central to the events of the past three sessions so I thought I'd put him out there for you. Special Abilities : An accomplished healer, even without access to his medical bag he can perform feats of healing beyond the common man. He has such an aura of peace about him that wild animals must make a Will check in order to attack him (mutant animals are not affected by this ability). Weapons & Gear : Monk's robes, waterskin, backpack, rope belt, rations, Medical bag (filled with various healing devices and supplies depending on the needs of the Mutant Lord), various healing herbs and such. Any other tech he finds he quickly trades off for more medical supplies. 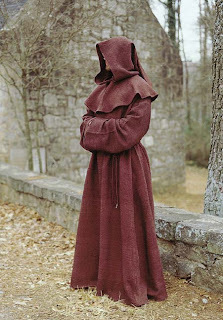 Known throughout the ruins as a man of healing and peace, Brother Thomas is a member of the Healers Cryptic Alliance an order of healers that can trace their roots back to those few men of healing that survived the great apocalypse and took vows to provide help and healing to the surviviors of that dark time. Though limited in number they are respected and valued wherever they go. It is said that even savage wild animals will let them pass by unmolested. Only the most deranged or vicious of raiders and mutants will harm a healer, for none wish to be denied the near magical touch of these wandering priests. Brother Thomas is the epitome of the values of his order. It is said he has never raised his hand against another, whether it be mutant, pure strain or otherwise. If he suffers from any prejudices he has never shown it. While a man of peace he is no coward, recently when word went out that a distant community was dying from Crimson Spotted Fever, he set out alone to make the journey to save those he could. None would accompany him for fear of the disease. Hope everyone has a Great 2011! !